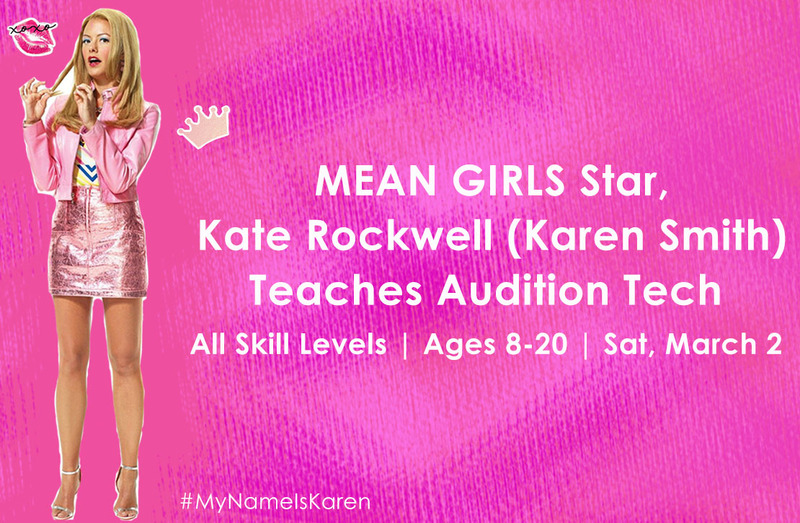 Kate Rockwell, currently starring as Karen Smith in MEAN GIRLS, is teaching a musical theatre audition technique masterclass! Kate can also be recognized from her previous work in BRING IT ON, HAIR, ROCK OF AGES, and LEGALLY BLONDE on Broadway! Kate will be working one-on-one with each student! Sing a 32 bar mock audition for Kate who will offer each student individual guidance and feedback on their audition technique and song interpretation! As if that weren’t enough, learn if your song is a good showcase of you and your unique talents! Class will conclude with a Q&A, and photo session with this major star! Time: 9:45 a.m. – warm up w/ ACANY staff; Class is from 10 a.m.-1p.m.